We are here to answer any questions you may have about our products. Please complete this form and we will respond to you as soon as we can. For all support-related queries, visit our Support page or our online community. 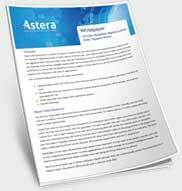 For queries related to career opportunities, email us at employment@astera.com or visit our Careers page.